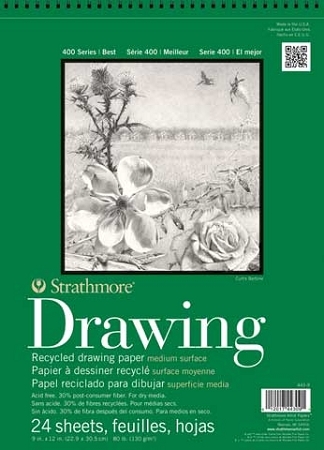 Artists with concern for the environment will feel secure about using this drawing paper, made in acid-free surroundings with only acid-free recycled papers and virgin wood pulp. This 80 lb. 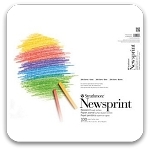 paper offers the brightness, texture and durability of the regular 400 Series drawing paper. Each non-reflective, bright white sheet has a uniform surface, particularly suited to line drawings and technical artwork– great for pencil, pen and ink, charcoal, light washes and markers. Twenty-four sheets per spiral-bound pad.